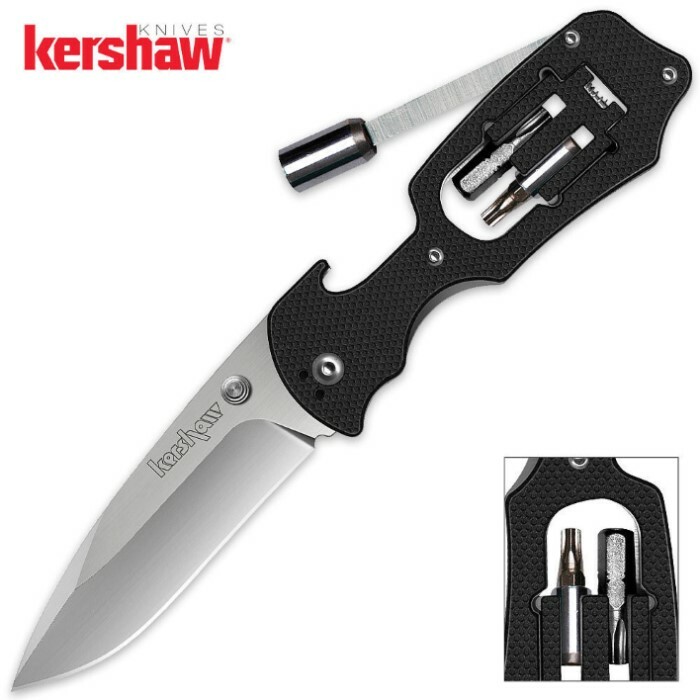 Kershaw Select Fire Tool Knife | BUDK.com - Knives & Swords At The Lowest Prices! The Kershaw Select Fire Tool is a rugged workhorse built for the man with a tough job to do. It's equipped with a 8Cr13MOV high-carbon steel blade that will hold an edge even after continual use and a glass-filled nylon handle that will last. This knife is a great tool I use every day at work. The high carbon steel blade hold an edge with daily use for over a month and a half an the built in screw driver has saved me from having to carry around more tools to get the job done. One small gripe the pocket clip screws came out after three months but with a little super glue it has served me well for over two years. This is my second one lost the first one. I am a maintenance director for RAPHA Residential Facility and this tool is used all day long, saving me the trip back to my shop.